Armagh and Waterford are guaranteed their places in the semi-finals, but the remaining two places are in the balance with Kerry and Cavan still to play next weekend. A win for Cavan will see both teams qualify, even though Clare and Kerry would be level on points. The Round 1 clash of Clare and Kerry ended in a draw, but Kerry would qualify by virtue of the greater number of points they kicked in that game. A win for Kerry will see the two Munster teams reach the semi-finals, while a draw would be good enough for Cavan, because they have a better head to head record with Clare. Matters are a lot clearer in Division 3 where all games have been completed. 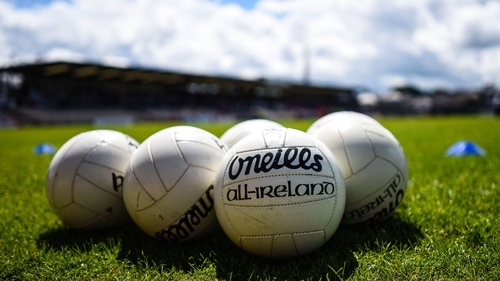 After wins for Roscommon, Sligo, Longford and Down, the semi-finals in two weeks’ time will be Meath versus Longford and Sligo versus Roscommon. And in Division 4, Louth, Limerick, Fermanagh and Antrim have qualified for the semi-finals, although the final placings won’t be finalised until next week’s meeting of Louth and Fermanagh.